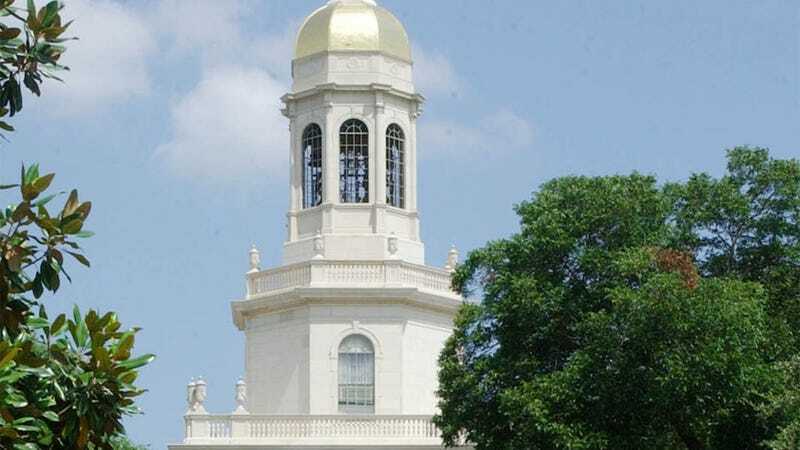 Baylor currently faces a Title IX lawsuit from 10 anonymous former students for their alleged serial mishandling of sexual assault cases over the past decade, and Baylor football players have been accused of committing 52 rapes over four years. Per PR Week, the school attempted to curtail the voices of sexual assault survivors by embedding an insider (identified as Matt Burchett, director of student activities at Baylor) into survivor groups and getting them to soften their stances. Burchett reportedly used his role as the school’s chief event planner and student life liaison to gain the trust of the groups. He would pretend to help them organize activities, all while siphoning information back to Baylor officials and to Ketchum, a PR firm retained by the school in the wake of reporting on its handling of sexual assaults. When these groups organized on campus to comfort each other and demand action from former chancellor Kenneth Starr, “[Burchett] would coordinate with them, befriend them, and pretend he was helping them organize vigils and demonstrations [about] sexual assault,” the source added. Burchett also tried to shape the group’s public statements, encouraged it not to say Baylor “failed” the survivors or Baylor “failed” to create a safe environment, two sources said. When the group was preparing to send a letter to Starr, Burchett suggested edits. For one thing, a ‘mole’ is someone who operates secretly. Dr. Burchett was above board in his role. He was not undercover nor was he duping anyone. What’s more, the students were certainly free to reject his suggestions. As part of his official duties, Dr. Burchett regularly facilitates expressive activities by students and coordinates a variety of resources from across campus to meet their needs. Information is shared back and forth to ensure such events are safe and provide a platform for the students to communicate their message.